Samuel Belkin Memorial Award for professional achievement. The daughter of Holocaust survivors, Krich was born in Germany and lived in New Jersey and in New York before moving with her family to Los Angeles in 1960. 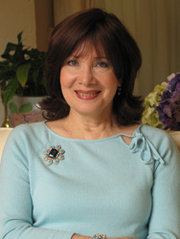 With a master’s degree in English from U.C.L.A., she taught high school English for eighteen years, chairing the English department at Yeshiva University of Los Angeles High Schools, and received the Milken Families Foundation Award for Distinguished Educator of the Year and the Samuel Belkin Memorial Award for professional achievement. Past editor of the national Sisters in Crime newsletter and a former director of the National Board of Directors of the Mystery Writers of America, Krich remains active in both organizations and is a member of the American Crime Writers League. Krich was still teaching and raising six children when she began her writing career. Krich's fully realized characters, careful plotting, page-turning suspense, and the seamless way she weaves her Orthodox Judaism and contemporary social problems into many of her works. "Krich," observes Kirkus, "doesn't shrink from big issues." Rochelle Krich is currently considered a "single author." If one or more works are by a distinct, homonymous authors, go ahead and split the author. Rochelle Krich is composed of 3 names. You can examine and separate out names.